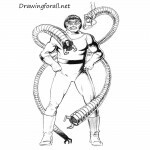 Welcome to Drawingforall.net, dear artists. 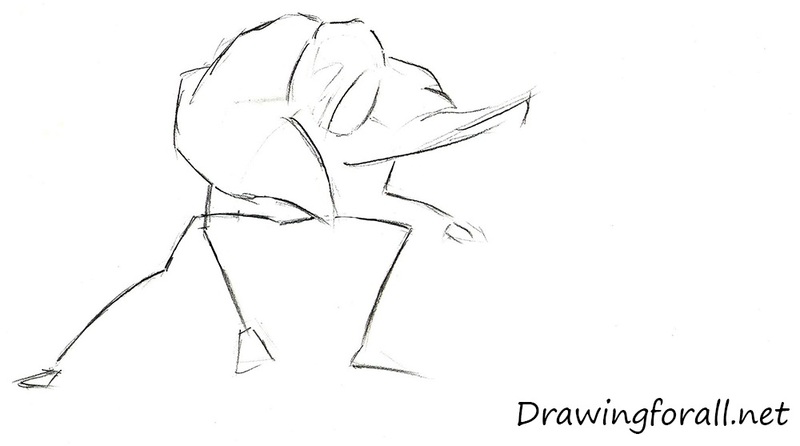 Today we have prepared for you another drawing lesson devoted to how to draw the ultimate Green Goblin. Green Goblin – is a supervillain in the Marvel universe, which often appears in the comics about Spider-Man and, by the way, is his sworn enemy. 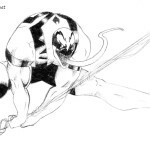 Usually, we draw comic heroes from the classic universe, for example Wolverine and Venom. 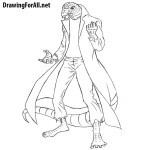 But in this tutorial we will draw the character from the Ultimate universe. 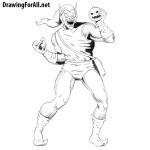 Let’s start the lesson and learn how to draw the ultimate Green Goblin. 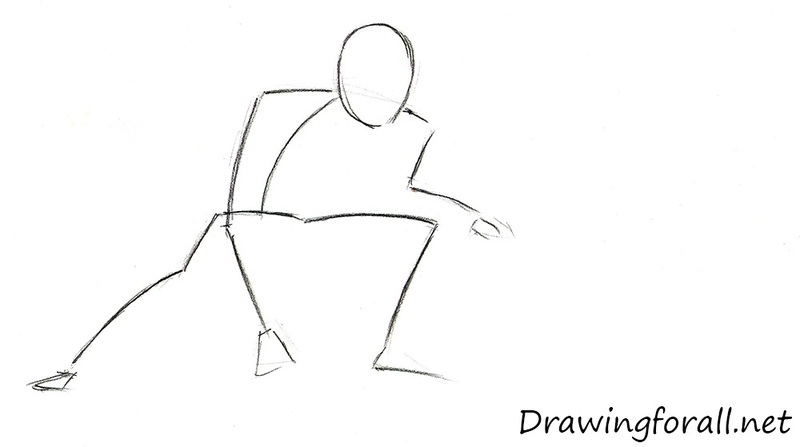 We start as always with stickman – a man made of lines and circles. 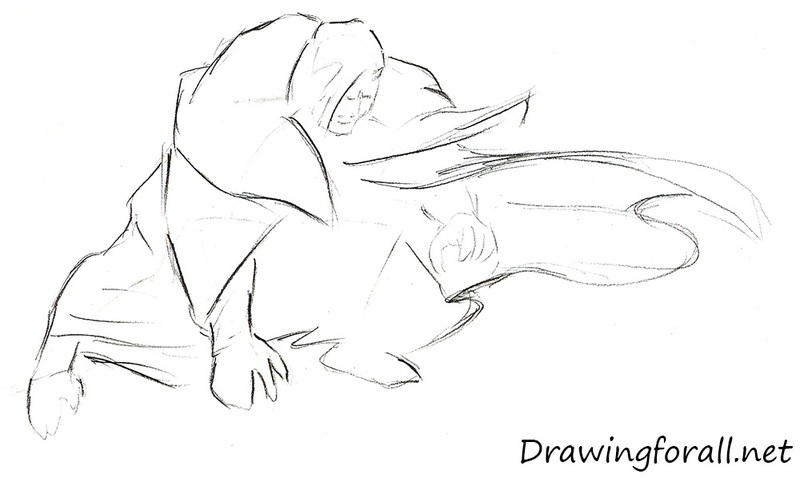 At first, using an oval sketch out the outlines of the head. 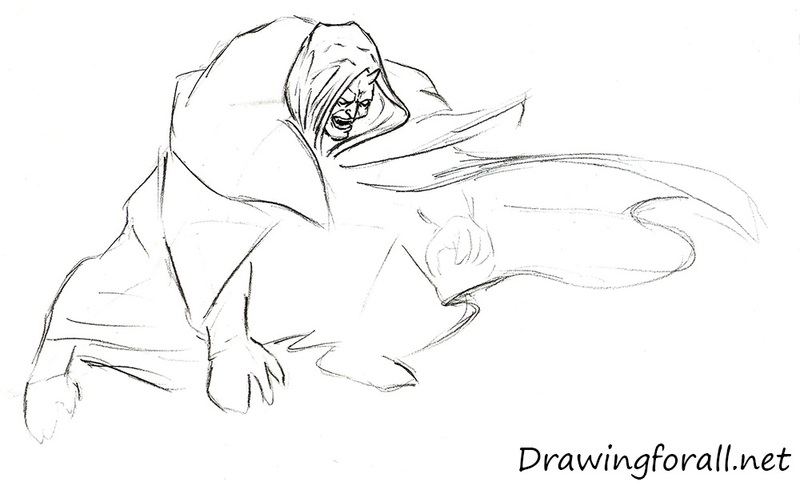 Using simple and smooth lines draw the skeleton of Green Goblin. Now draw the upper part of the garment. The hood should be slightly thrown on the head (it is not taut, but not hanging freely), but the rest of the cape will flutter in the wind direction. 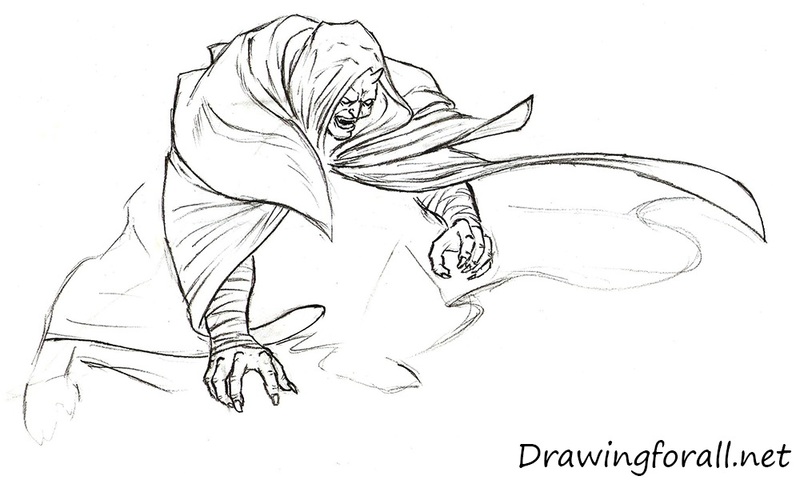 We continue work on the cloak of the Green Goblin and draw fabric that hides everything below the shoulders. Although the cape looks baggy, it follows the contours of Green Goblin. Note, that the lines should be smooth and light. 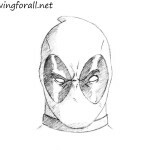 At this very step sketch out the lines of the face and horns. Wind blowing on a green goblin from behind. 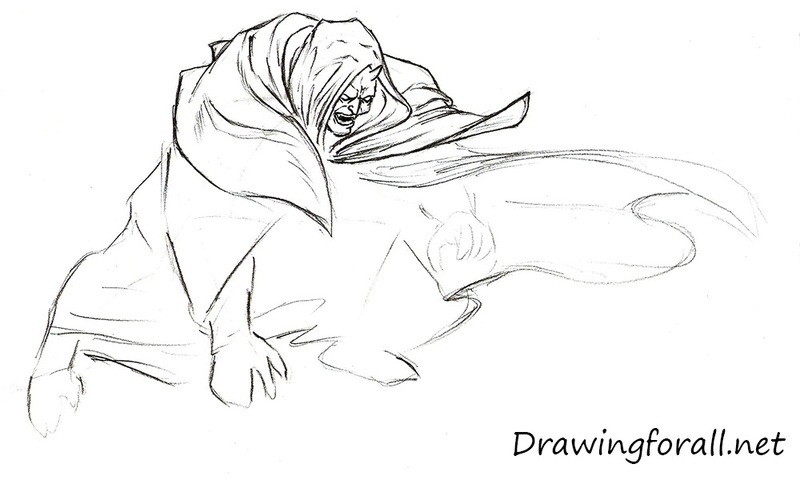 Using some curved lines draw the folds on the cloak of the Green Goblin. These folds should create the effect of a strong wind. Go down, and draw the lines of the cloak. 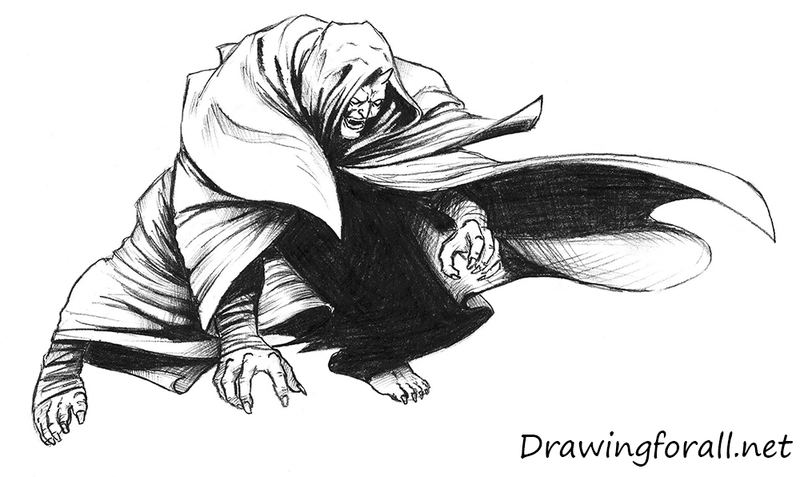 Using some long and smooth lines add some folds to the cloak. Outline the fingers as in our example. Using some short lines draw the stripes on wrists. Erase the guidelines. Circle the lines, as in our example, to make the lines smooth and clean. Add some folds to the lower part of the cloak. Using short lines draw the strips to the shin. Using dark black pencil, paint the dark parts on the drawing. Such rough and contrast shades we used specifically to create the comic style of drawing. In the result, we get such Green Goblin. It was the drawing lesson about how to draw the ultimate Green Goblin. 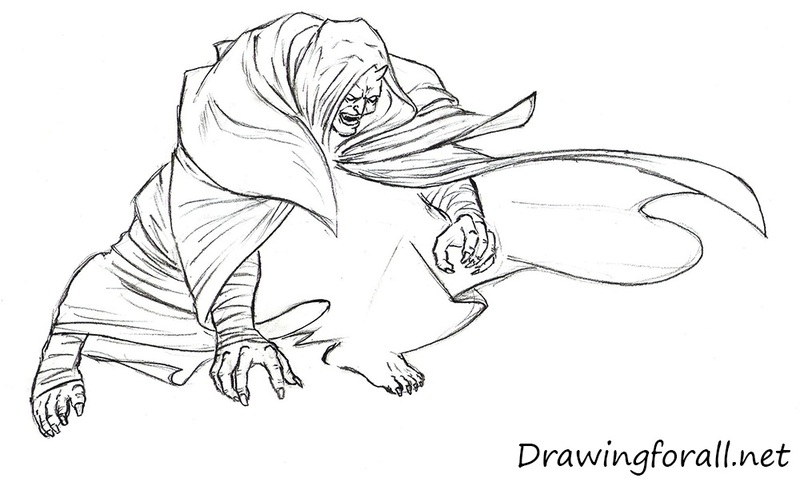 We hope this tutorial helped you how draw green goblin. Goodbye!